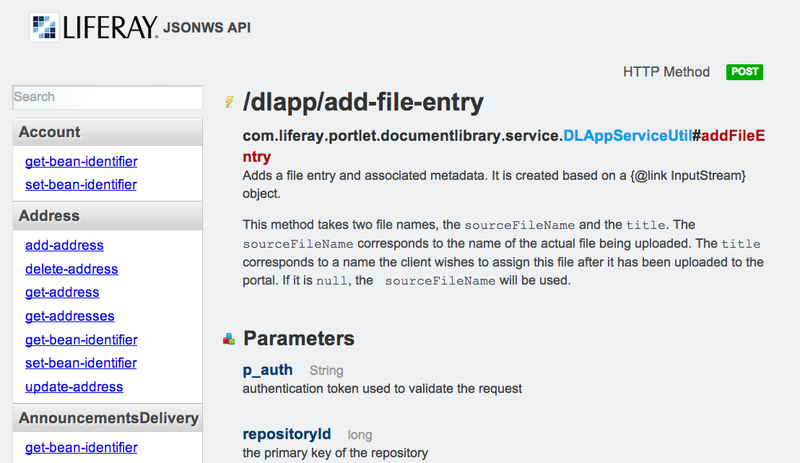 How can I view the list of Liferay JSON Web Services? 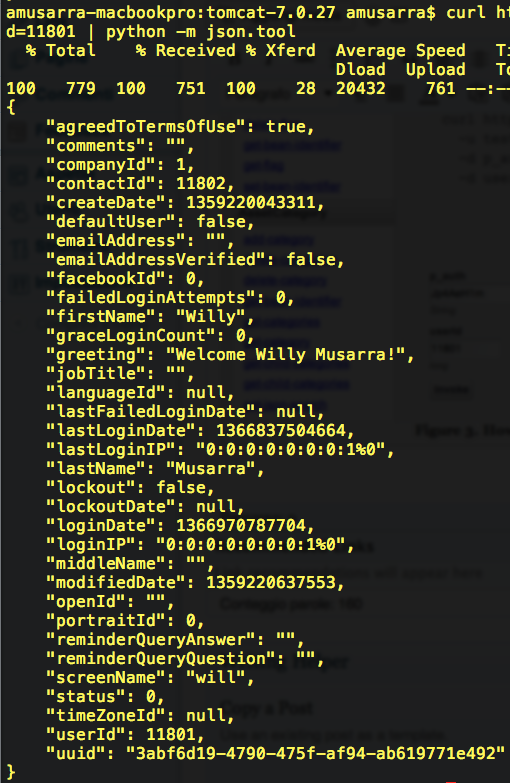 The result is a list of all registered and exposed service methods. For each method user can see more details, by clicking the method name. 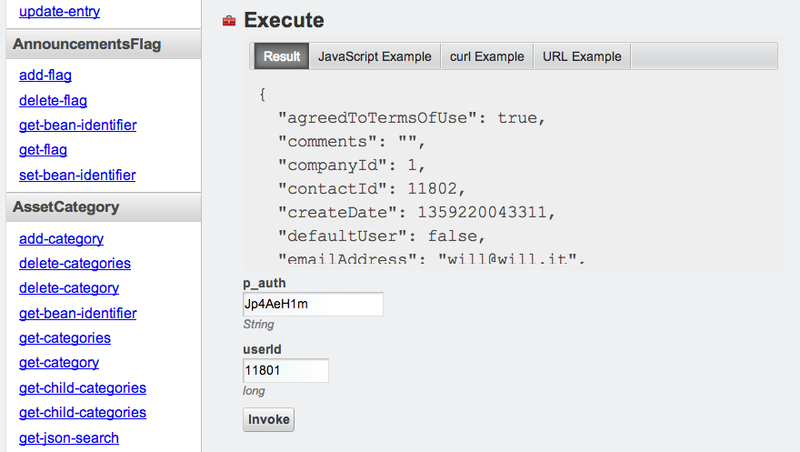 On method details page, user can even invoke the method for testing purposes. The follow figures show a set of the examples. 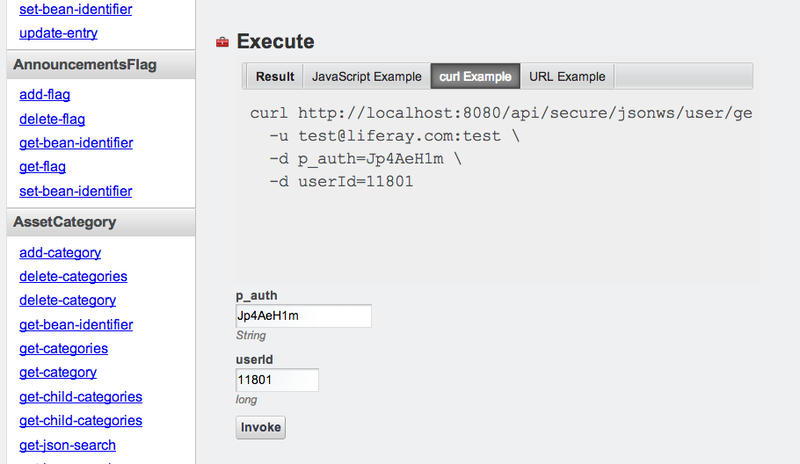 The follow command (curl) for execute a call for the GetUserById service.